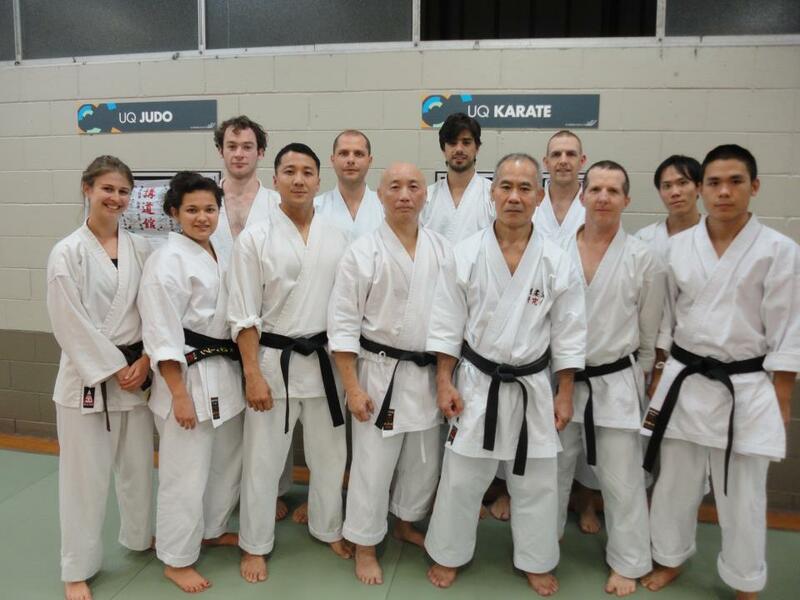 Welcome To The University of Queensland Karate Club! The UQ Karate Club offers an inclusive, friendly, and safe environment where mid to close-range self-defence skills are practiced, from striking to grappling, to groundwork. The style that is practiced is Okinawa Goju-Ryu, meaning ‘Hard&Soft’ style, which has been heavily influenced by the southern Chinese Kungfu styles throughout the 19th and 20th centuries. We practice to develop and discipline the human spirit. This discipline must be self-imposed in order for it to be meaningful. The method of training is the same - constant repetition of both solo and partner exercises. Our goal is not the attainment of a particular belt or fighting skill but rather the process of learning itself; everything else is a by-product of the training. In martial arts we frequently speak of the practice of our arts as the Way or “Do” - a term that symbolizes process. It is not physical prowess of the art that is important, but rather the mental attitude and state of mind while engaged in the art. When the art is thought of as a process it becomes seamless amongst styles. For this reason, and in the spirit of the university, we welcome all exponents of other styles to join us in sweat and discovery. We also have a facebook page. Upcomming events will be discussed here. Notices: Training has recommenced for the year. Please click here for training times.